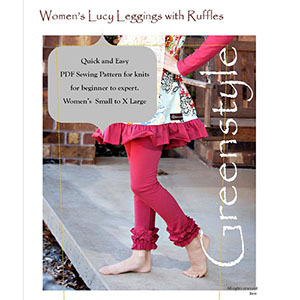 These popular Lucy Leggings can be sewn with or without the ruffle hem. They are the perfect staple for any wardrobe. Pattern includes women's sizes small to extra-large. Recommended with a cotton lycra blend fabric or other stretch knits.